As NAMA, we provide backbone support to the Fish Locally Collaborative (FLC), a network that connects nearly 400,000+ fishing families around the US, as well as in Canada, Latin America, and Europe. 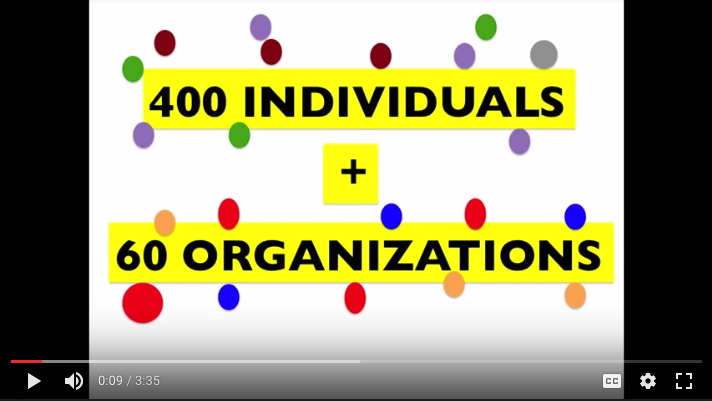 The FLC uses a collaborative, decentralized model of organizing to share resources and power that enable us all to work toward a shared purpose. The FLC is a non-entity that does not speak on behalf of the network but rather generates collaboration so that people can speak on behalf of themselves and together. This model allows us to most effectively enhance our common values and vision and to take action whenever possible. The FLC’s mission is to align many diverse people and organizations behind community-based fisheries in order to protect marine biodiversity and the overall health of the ocean. Through our actions, we aim to bring about systemic changes while at the same time building a stronger, better-equipped movement to engage in and address the great challenges of our time. Core principles include transparency, collaboration, justice, capacity building, respect, inclusivity, openness, and accountability. The FLC recently established a set of core values and narrative for the purpose of strengthening alignment for all collaborative activities which we believe to be critical for successful networks. Top-down leadership is not required in this collaborative process in order to more fully realize the equal participation of all collaborators. We work to ensure that the local fishermen and fishing communities who are most impacted by policies, changing markets, and ocean conservation are at the center of the decision-making table. You can get a glimpse of the work that is being done within the Fish Locally Collaborative by checking out the 2017 FLC Recap. NAMA supports the most basic logistical elements of the FLC structure, in order to align with the decentralized nature of the network and avoid over-dependence on one organization. Our approach to logistical support is informed by a blend of collective impact and decentralized network literature that includes: the governance model first developed by the Coming Clean Collaborative and the RE-AMP model using Collective Impact research by John Kanie and Mark Kramer. Basic logistical support includes maintaining the FLC listserv, online tools such as Basecamp, Highrise, and Google Docs, conference call and webinar support, and planning for face-to-face gatherings.